Colour: Yellow or Brown shades. Packaging Type: Bulk Packaging in Aluminum Bottles & G.I. Drums. Marula oil is extracted from the kernels (nuts) of the fruits of the Marula trees (Sclerocarya birrea), from the Anacardiaceae family. ... Marula oil is traditionally used in cosmetics, in food as a cooking oil and as a meat preservative and to treat leather. Marula Oil is omega-rich with outstanding moisturizing benefits for a radiant finish. This oil absorbs quickly, has high moisturizing ability, clear or pale yellow with moderate viscosity, mild nutty aroma and is rich in sterols. We are offering a high quality Macadamia Oil for Cosmetics. The range includes aromatic and essential oils and nourishing vitamins that help in rejuvenating the skin. Minimum Order Quantity - 5 Kilogram. The oil is extracted from the buriti pulp. It is rich in oleic acid (Omega 9). 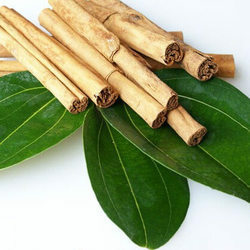 It has a high anti-oxidant capacity, contains vitamin E and presence of phytosterols. Buriti oil is natuarally rich in beta-carotenoids (provitamin A). 7.5 ml / 0.25 fl.oz. Free door delivery within just 3 days in all over India ! Anti Blemish Oil Cosmetic (Rejuvenates skin and clear blemishes)- Active ingredients-Sea buckthorn oil, Adam oil, nariyal, dudal. Enriched with rare sea buckthorn oil that has natural anti-blemish properties. Imparts a flawless glow to your skin by clearing all blemishes. 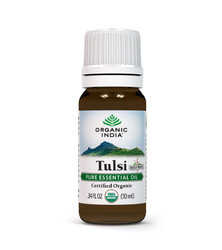 Daily use of this rich blended oil will hydrate and nourish the skin. Regenerating Uplifting Oil is capable in reducing wrinkles and fine lines caused by ageing by regenerating, revitalizing and tightening the skin. It also works as an excellent moisturiser. It will cleanse, moisturize and smoothen the skin on your hands & feet; and take good care of your nails too.